Recent studies of the lekking great snipe (Gallinago media) have shown that male mating success increases with display rate and the amount of white on the tail. An obvious question then arises: what is setting the limits to male display rate and to the evolution of even whiter tails? In this study the costs of these two traits are considered. In the case of the white on the tail, almost no predation was observed during the display period. However, predation on the winter grounds and/or during migration cannot be ruled out. Males differed in the amount of white on the tail between years. It is suggested that increasing the amount of white is costly, though the reason for this is still unknown. In the case of display rate, it is shown that predation cannot be a considerable cost, again because of the near absence of predation on the leks. Instead, it is shown that male displays are energetically costly. The daily energy expenditure of displaying males was estimated to be on average 4 times the basal metabolic rate, which is close to the supposed maximum sustainable work load for birds. Furthermore, males lost on average 1.8 g per h (1.7% of the body mass) which is about 7.2 g (6.8%) during a night of display activity. Males do gain some weight during the day when no displays are performed but loose on average 9 g during an 11-day period in the early part of the breeding season. 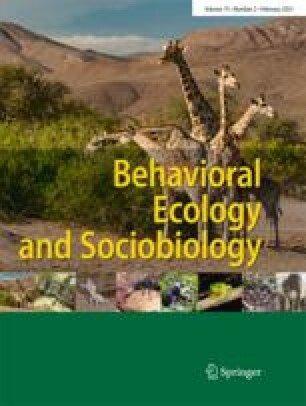 These results indicate that high energetic demands set the limits to male display performance and that males do not have to trade off the benefit of attracting females by their displays against a cost of attracting predators.